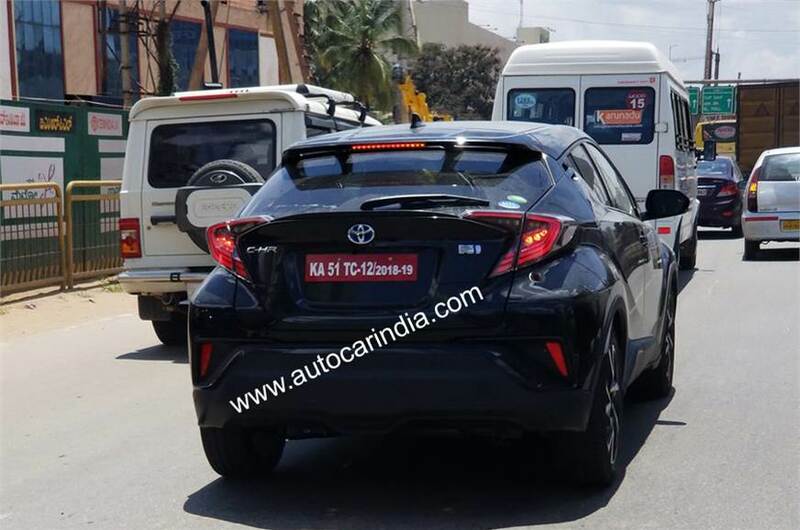 There have been numerous reports about Toyota considering the C-HR premium crossover for the Indian market. 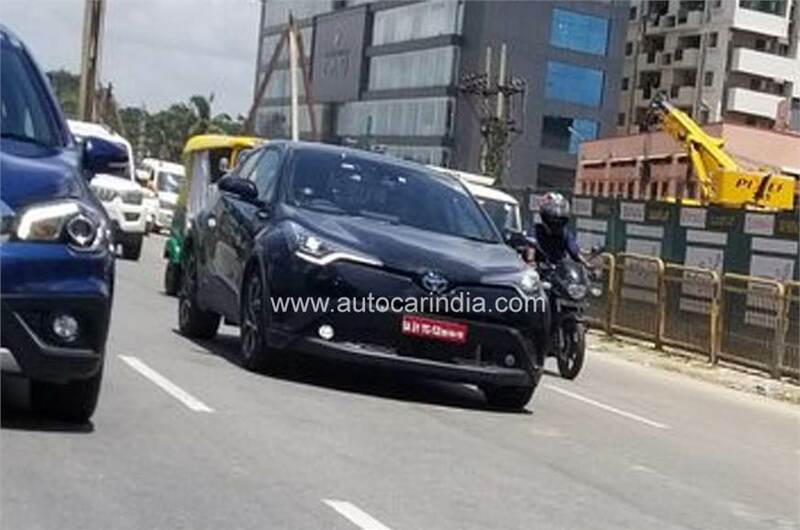 These may seem to come true as the car was spotted undergoing testing in Bengaluru recently. The C-HR was spotted without any camouflage wrapped around it and this has given us a hint about its design. The Toyota C-HR is Toyota’s first SUV underpinned by the TNGA platform. Toyota unveiled the C-HR for the first time at the 2016 Geneva Motor Show. The C-HR has attractive body panels and a coupe-like roofline on the exterior. On the front, there are two slim projector beam headlights with LED DRL’s wrapped around a small grille featuring a Toyota badge. The rear features a lip-spoiler, protruding tail-lamps and a functional top wing. Features include a 7-inch audio display, Vehicle Stability Control, ABS, 7 airbags, cruise control, dual-zone automatic air conditioning and so on. The C-HR will be based on Toyota’s TNGA (Toyota New Global Architecture) platform, seen on the Prius sold internationally. Toyota India has been linked with the launch of C-HR in the country for a long time now. Toyota will give the C-HR a petrol-hybrid engine here. This 1.8-litre engine will produce 122 BHP of power and 142 Nm of torque. It will come mated to a 6-speed manual transmission with automatic being offered as an option. Prices are expected to start from Rs. 15 lakh and go all the way to Rs. 20 lakh. The C-HR will rival the likes of the Jeep Compass, Hyundai Creta and the Renault Duster. We can expect the C-HR to come to the Indian market sometime in 2021. Because the report says that launch will take place after the launch of TNGA-based next-gen Toyota Corolla Altis.